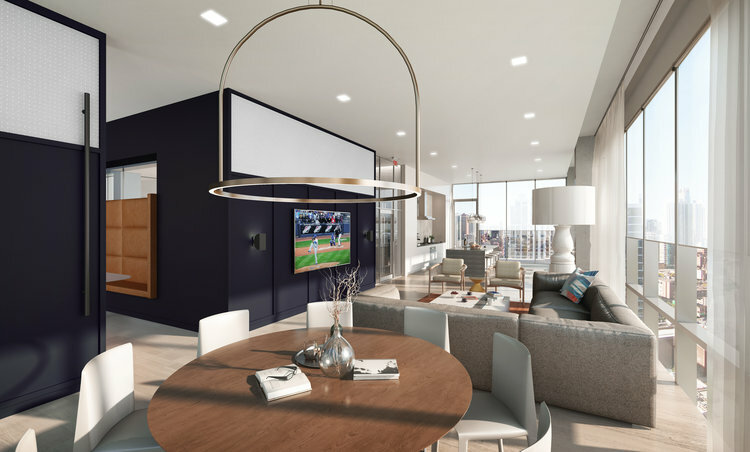 HUBBARD221, a new luxury apartment tower, has great proximity to Chicago’s fabulous Riverwalk, to theMART, and to the thriving River North dining and nightlife scene. HUBBARD221 apartments have floor-to-ceiling windows, plank flooring, in-unit washer / dryers and kitchens with Italian cabinetry and quartz countertops. You’ll appreciate the luxury details when you visit. One-bedroom apartments are all rented at this time. A studio will be available in mid-November for $1,795. A 3-bedroom, 2-bath at the penthouse level rents for $6,895, and 2-bedroom, 2-baths rent from $3,585. Up to 8 weeks free rent is available on select apartments when you lease within 48 hours of your first tour. HUBBARD221 has a full suite of amenities. The expansive, south-facing rooftop deck has a pool, hot tub and private cabanas. The fitness center has an array of cardio- and strength-training equipment. 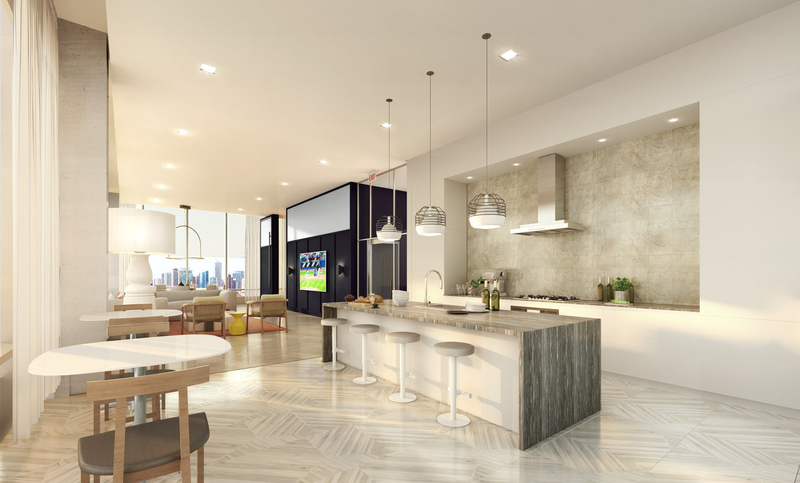 There’s a spacious resident lounge with multiple large-screen TVs, a variety of seating areas, and a kitchen. 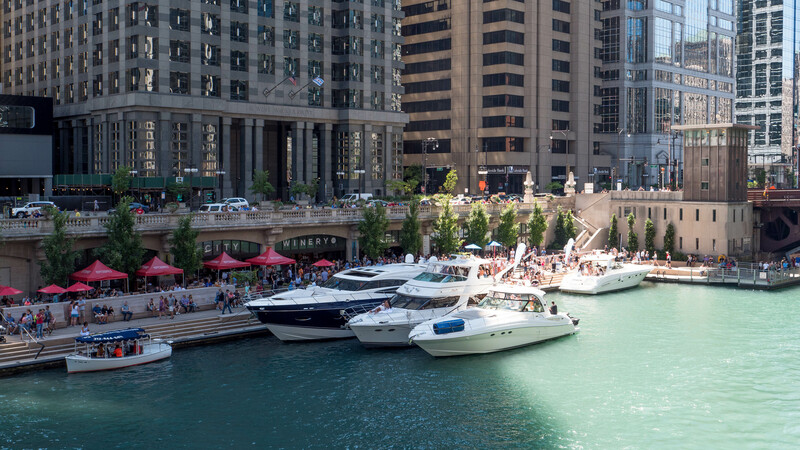 HUBBARD221 has a convenient near-Loop location, steps from the Merchandise Mart and just two short blocks from Chicago’s exciting Riverwalk. 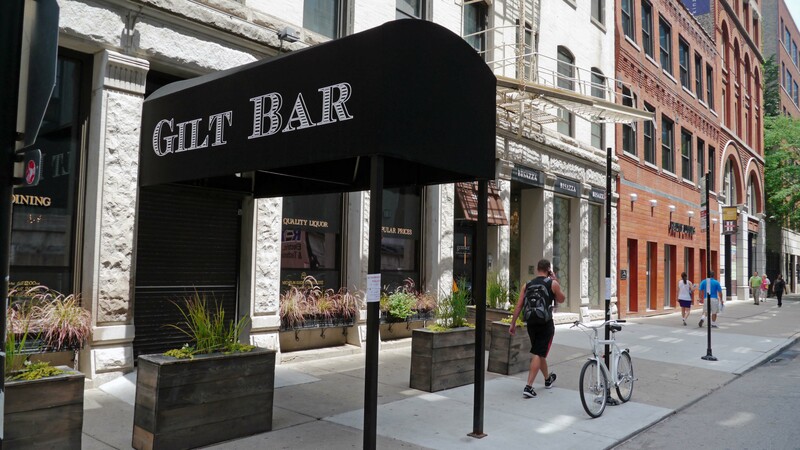 HUBBARD221 residents are likely to frequent the popular River North bar and restaurant scene, including the venues along Hubbard St just outside the building. HUBBARD221 is pet-friendly and has on-site parking. 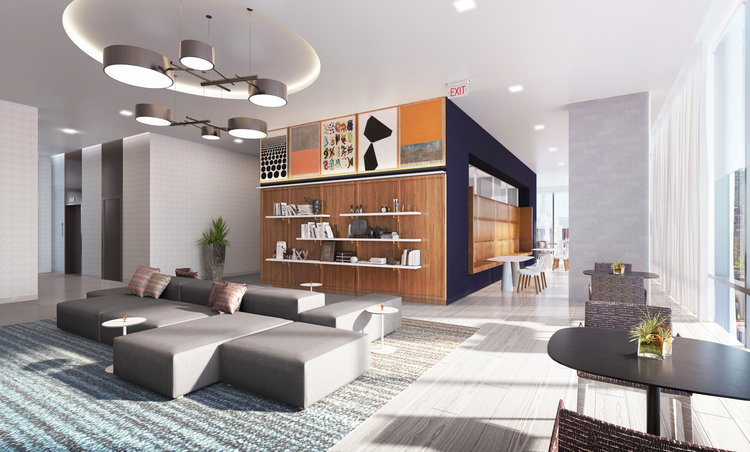 The building has on-site management, maintenance and leasing staff, and 24/7 door staff. Call 312-470-8106 to schedule an appointment, or schedule a tour online.